This project involved extending and adding a first floor loft style addition to the existing double garage. 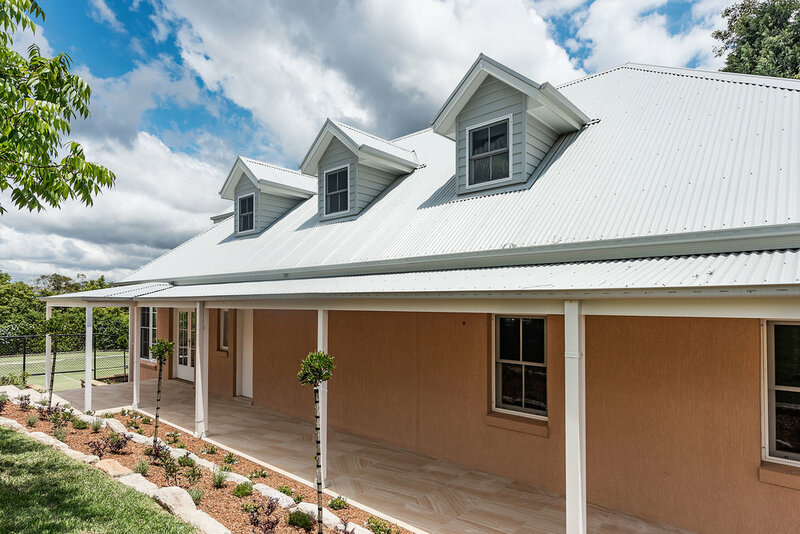 The project features multiple dormer windows to keep the building consistent in its appearance with the main home situated about 20 metres away. High quality fittings were used throughout the kitchen and bathrooms to give the guesthouse a very premium feel. We also laid a new concrete driveway to match the existing driveway to the main house. 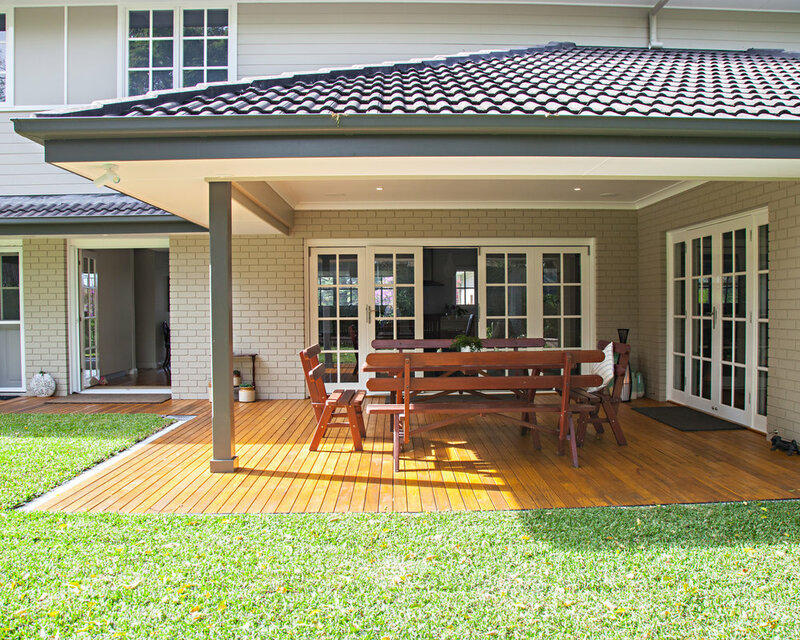 The end result is more of a complete new home than a garage extension! This project involved removal of existing rear kitchen and living room and enlarging the floor area. We constructed a new raked roof and ceiling to produce this beautiful high ceiling kitchen and family area in the home. The outcome is very spacious and light filled given the confines of the land area. High windows and skylights are a real feature in this extension. The large void required extensive use of structural steel to achieve the span without internal supports. We also installed a mechanical roof structure over the swimming pool. 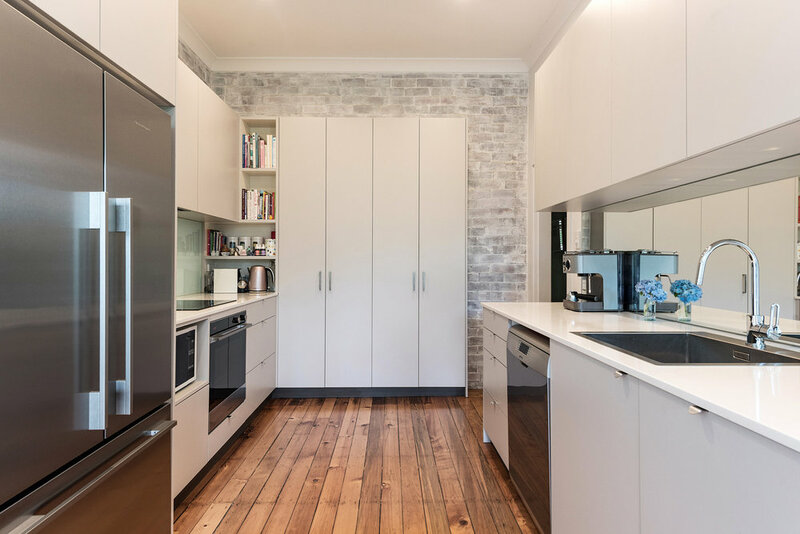 The select grade Blackbutt hardwood flooring compliments the new fresh design very nicely. 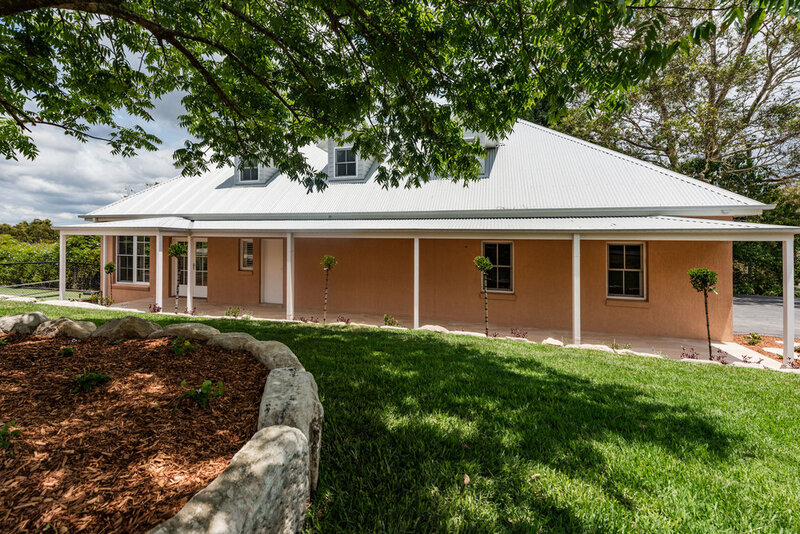 NuVision Building was asked to extend and renovate this 100 year-old cottage in Artarmon for a growing family. 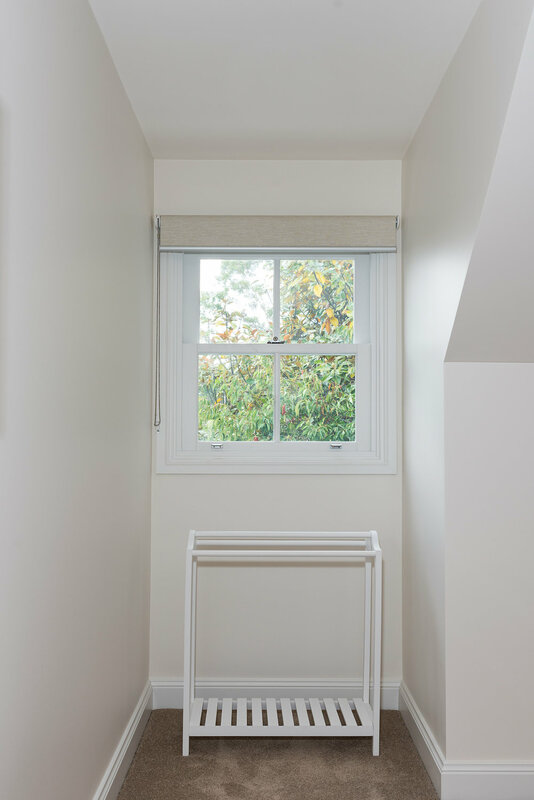 Part of the brief from the architect/owner was to incorporate the downstairs laundry within the main residence, alleviating the need to access the laundry via external stairs. The sloping nature of the block allowed for a two-story addition at the rear of the property. This in turn enabled us to install an internal staircase which leads to the new spacious downstairs area. As part of the renovation we updated the bathroom, kitchen and added a deck that makes the most of leafy views over the suburb. We also added a games room and dining room. The end result is a stylish and functional living space that will serve the growing family well for many years to come. The client's brief to the architect was for a kitchen renovation and the creation of a large upstairs rumpus games room. 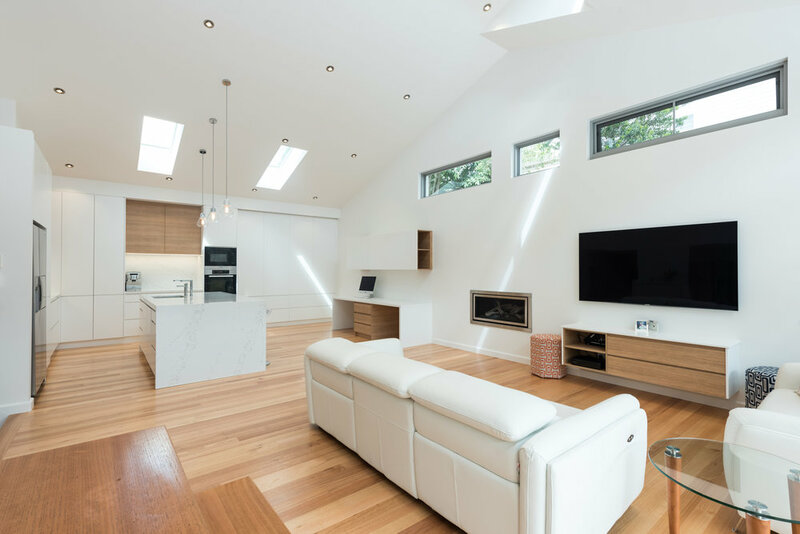 The result is an extensive first-floor addition creating an entertainment haven with pool room, bar, guest accommodation, home theatre and bathroom. The ground floor renovation now boasts a gourmet kitchen and inviting lounge and dining area. 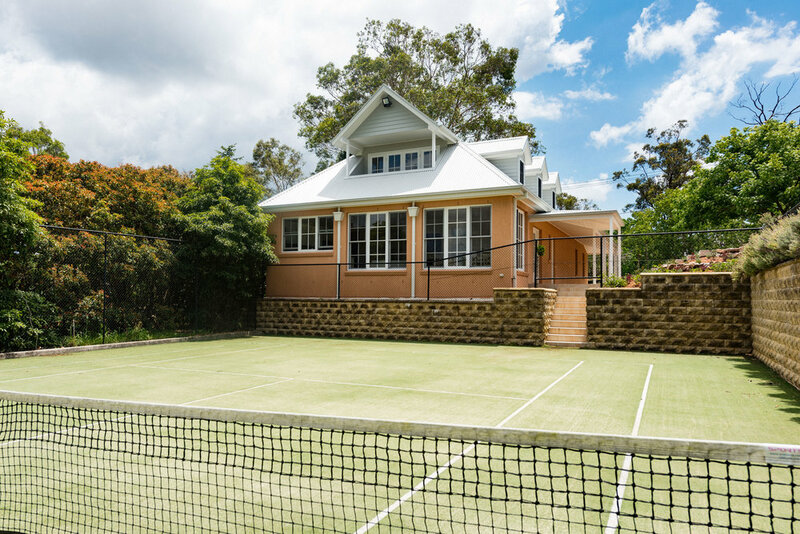 The design required a near full roof removal to allow for installation of engineered steel beams and floor joists with consideration given for a 1,000kg pool table upstairs. The ground floor remained in full brick with the upper level in timber frame supporting a tiled roof and Weathertex cladding. 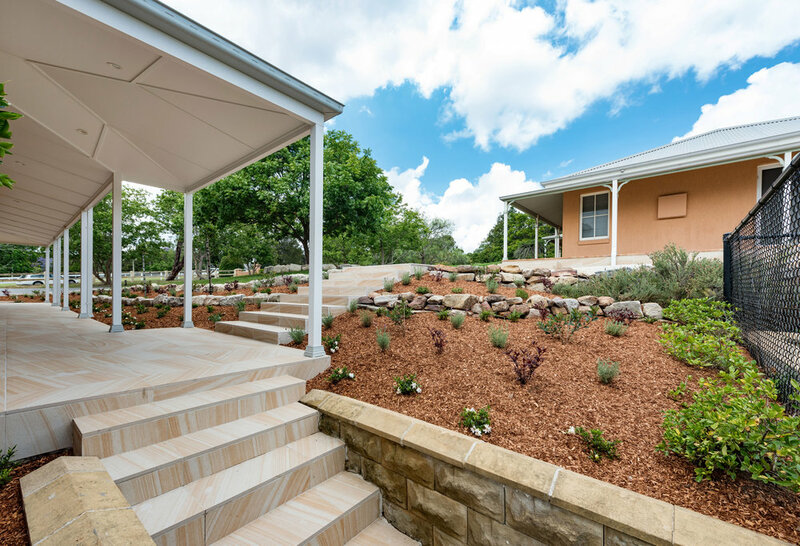 An architecturally designed deck extension to the rear of a beautiful 100 year-old residence in Castle Hill. The design allows extensive views over the pool area and landscaped gardens. 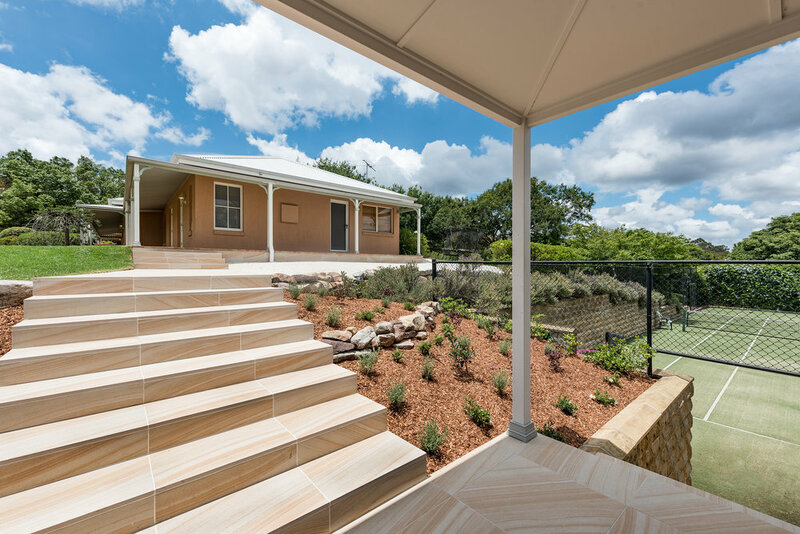 The structure remains in keeping with the period of the existing dwelling, giving the client a true Alfresco experience protected from the elements. The deck and roof framing were constructed from pre-fabricated steel beams and posts that were craned over the house into position. 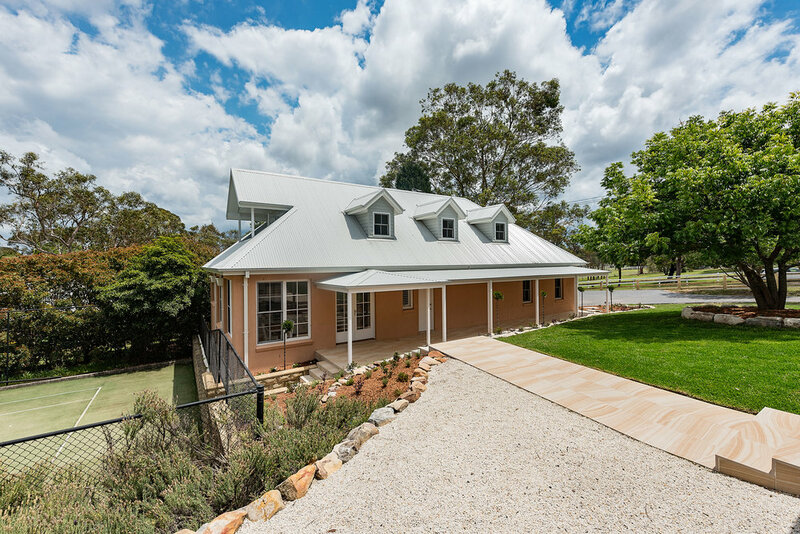 The roof line was significantly altered requiring the use of a more traditional 'hand cut' roof method rather than construction with pre-fabricated trusses. Blending the new and old roof structures seamlessly was a significant challenge. This charming semi-detached residence was built in circa 1908 and renovated during the 1950's. A challenging site with difficult access in a congested location. NuVision were engaged to alter the internal layout from a tightly compartmentalised area to an open plan comprising a new kitchen, dining, living and separate laundry. 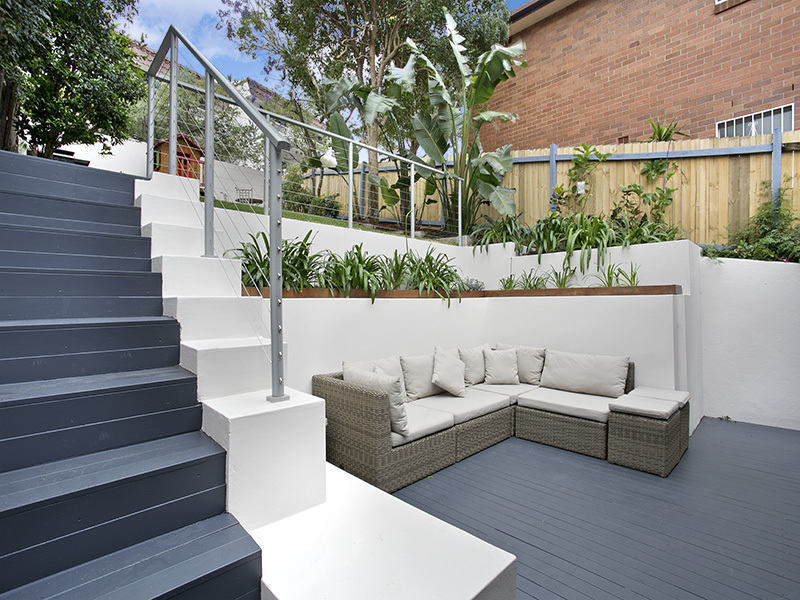 We also provided access outside to a new deck and stairs to the rear garden. 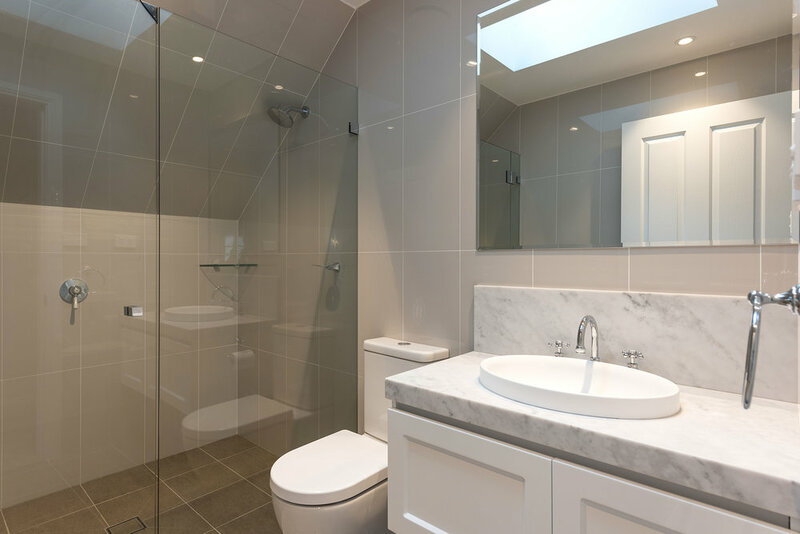 The project included the demolition and upgrade of the existing bathroom using natural stone and a free-standing bath. 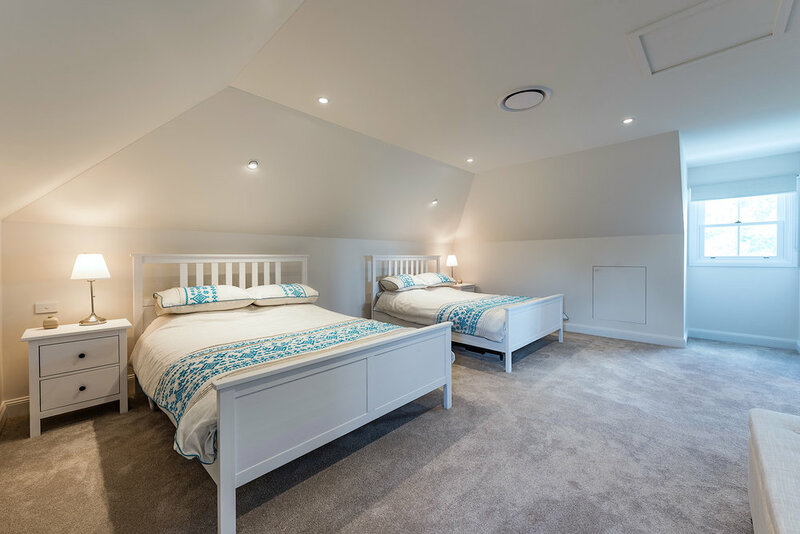 The main bedroom was modernised including the addition of an en suite and a walk-in wardrobe. Thank you, please click here for your e-brouchure!